Following the huge success of the inaugural race in 2016, this year’s competition welcomes an American team made up of former marines and coast guards who were seriously injured while on service. The team of four includes Sgt Robert Aiken who began sailing through the initiative of the Warrior Sailing Program, providing maritime education and outreach for wounded, ill and injured service members and veterans organised by the US Merchant Marine Academy. “I’m very thankful to the wonderful donors and staff for recognizing the therapeutic value sailing has to offer those of us adjusting to new circumstances – both physical and emotional” said Sgt Aiken. This event develops valuable bonds between national team members and international colleagues alike, through a competitive, but also very sociable, event. 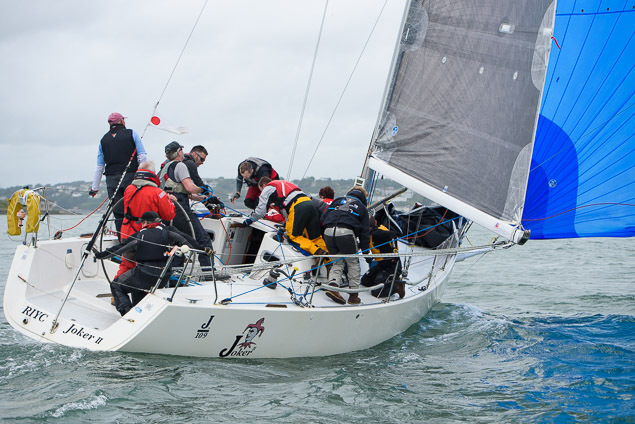 The Beaufort Cup represents a fantastic opportunity to strengthen international ties through offshore sailing and closely fought inshore racing in the natural maritime amphitheatre that is Cork Harbour. “The Beaufort Cup invites sailing teams from their associated national services, 50% of each team must be active in the service they represent. Racing will take place over five days in a mix of challenging offshore and tactical inshore racing. Teams will get the chance to enjoy the renowned social experience of Volvo Cork Week and the winning team will have €10,000 donated to a nominated charity of their choice while the winner will also be eligible for the ‘Boat of the Week’ prize at Volvo Cork Week 2018” says Kieran O’Connell, Chairman of Volvo Cork Week.